Cruise, carve, slash, and ollie your way to school, and around campus and town. These boards are small enough to fit in your backpack and locker, take on the bus, or stuff in the overhead compartment on a plane if you’re the jet setting type. 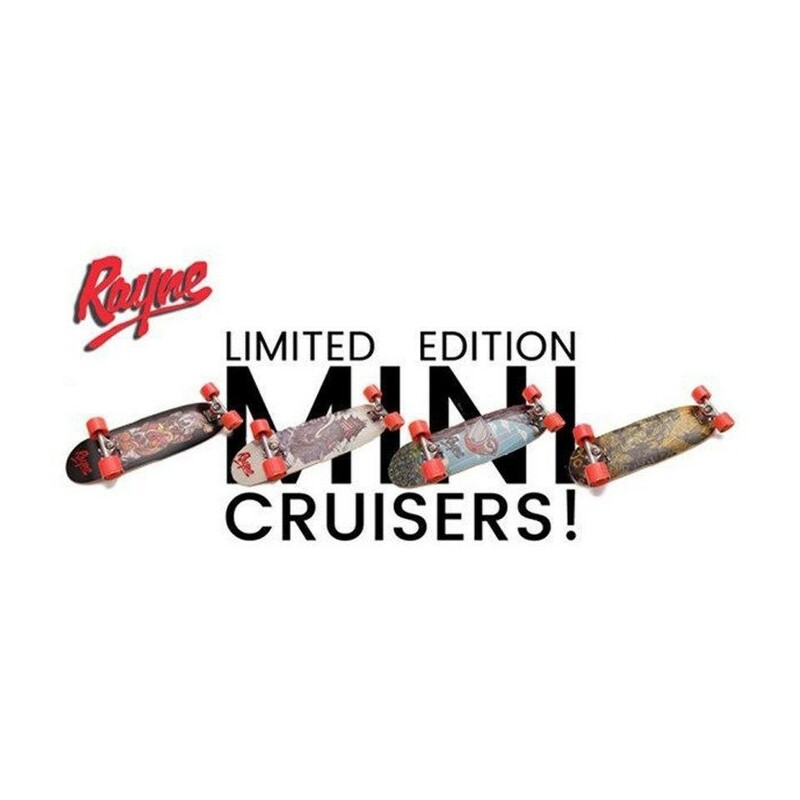 The Popsicle mini cruiser skateboard is super durable, waterproof, torsionally stiff and has wicked amounts of pop for your ollies. We used our classic bamboo core and a mix of tri-axial and pre-tensioned bi-axial fibreglass pressed in the Catalyst mould to give you an extremely capable mini for any quest you embark on. 3 graphics are available PLUS our upcycled version, and all completes come assembled with 5” Traditional Kingpin Trucks, 65mm stoneground wheels, abec 5 bearings and griptape. Check all the specs here and order yours today.